So I'm no technology wiz by any means, but I recently had a reason to do some snooping on Twitter after I was contacted by a reader (long story). 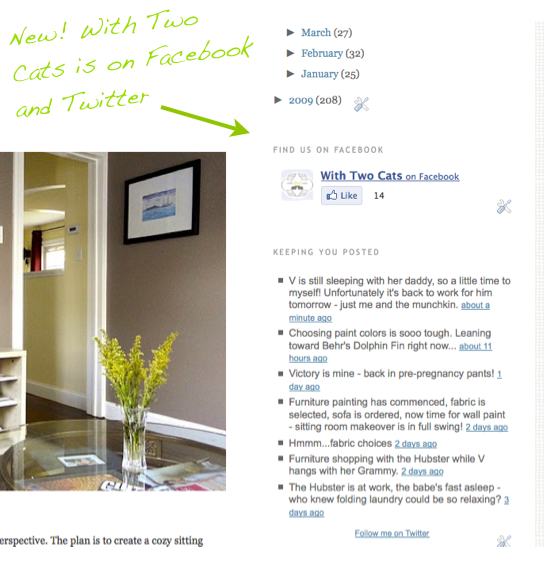 That led to getting an account and wanting to link up to Facebook, which then in turn led to creating a Facebook page for with two cats. So it looks like we're moving up in the world of technology! Feel free to follow us on Twitter, Facebook, or both to stay up to date with current H-Haus happenings.